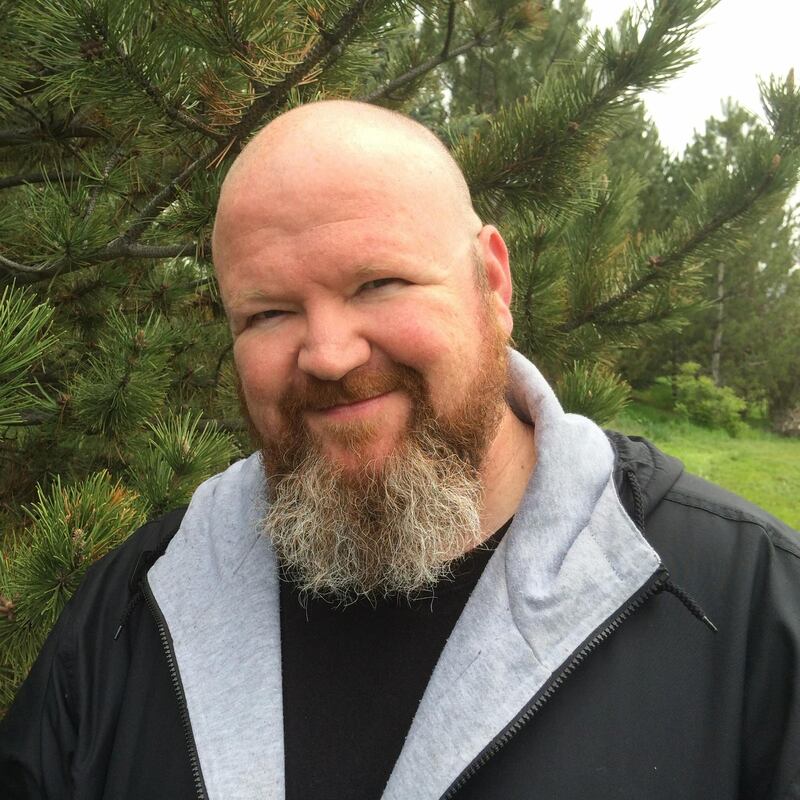 By Carl Slaughter: After eight books in his Del Rey-published, New York Times/USA Today-listed humor fantasy series, The Iron Druid, Kevin Hearne is offering a spinoff. Purloined Poodle is the first in the Oberon Meaty Mysteries series. Oberon being the wolfhound friend of Atticus O’Sullivan, said Iron Druid, who over the series battles a host of classic fantasy creatures and a few famous Greek and Nordic gods. Hearne is also the author of the Star Wars novel, Heir of the Jedi. 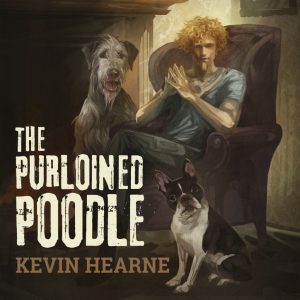 Thanks to his relationship with the ancient Druid Atticus O’Sullivan, Oberon the Irish wolfhound knows trouble when he smells it—and furthermore, he knows he can handle it. Unfortunately, the very angry Celtic god who wants that sword has tracked him down, and Atticus will need all his power, plus the help of a seductive goddess of death, a bartender possessed by a Hindu witch, and some good old-fashioned luck of the Irish to kick some arse and deliver himself from evil. Atticus O’Sullivan, last of the Druids, doesn’t care much for witches. Still, he’s about to “make nice” with the local coven by signing a mutually beneficial non-aggression treaty—when suddenly the witch population in modern day Tempe, Arizona, quadruples overnight. The new girls are not just bad, they’re badasses with a dark history on the German side of WWII. With a fallen angel feasting on local high school students, a horde of Bacchants blowing in from Vegas with their special brand of deadly decadence, and a Celtic goddess of fire vying for his attention, Atticus is having trouble scheduling the witch-hunt. But aided by his magical sword, his neighbor’s rocket-propelled grenade launcher, and his vampire attorney, Atticus is ready to sweep the town and show the coven they picked the wrong Druid to hex. One survival strategy has worked for Atticus for more than two thousand years: stay away from the guy with the lightning bolts. Plus things are heating up in his home base of Tempe, Arizona. There’s a vampire turf war brewing, and Russian demon hunters who call themselves the Hammers of God are running rampant. Despite multiple warnings and portents of dire consequences, Atticus and Leif journey to the Norse plane of Asgard, where they team up with a werewolf, a sorcerer, and an army of frost giants for an epic showdown against vicious Valkyries, angry Norse gods, and the hammer-wielding Thunder Thug himself. When a druid has lived for two thousand years like Atticus, he’s bound to run afoul of a few vampires. Make that legions of them. Even his former friend and legal counsel turned out to be a bloodsucking backstabber. Now the toothy troublemakers—led by power-mad pain-in-the-neck Theophilus—have become a huge problem requiring a solution. It’s time to make a stand. This entry was posted in Like Show Business and tagged Carl Slaughter, Kevin Hearne by Mike Glyer. Bookmark the permalink.